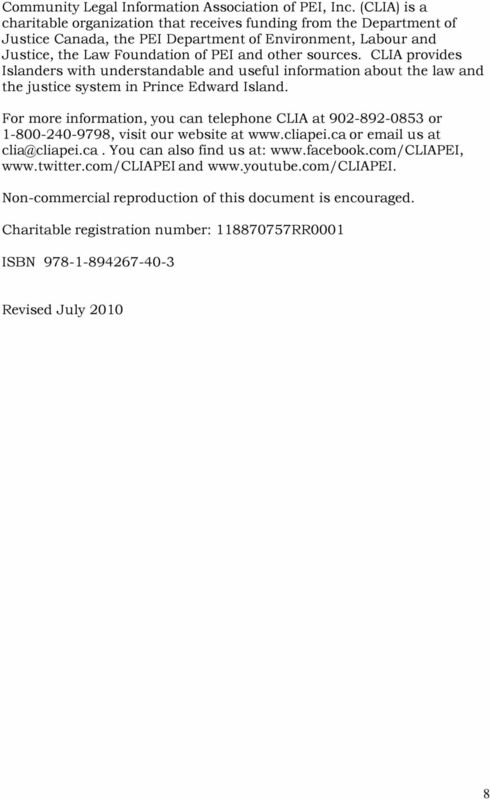 Download "Community Legal Information Association of Prince Edward Island, Inc. 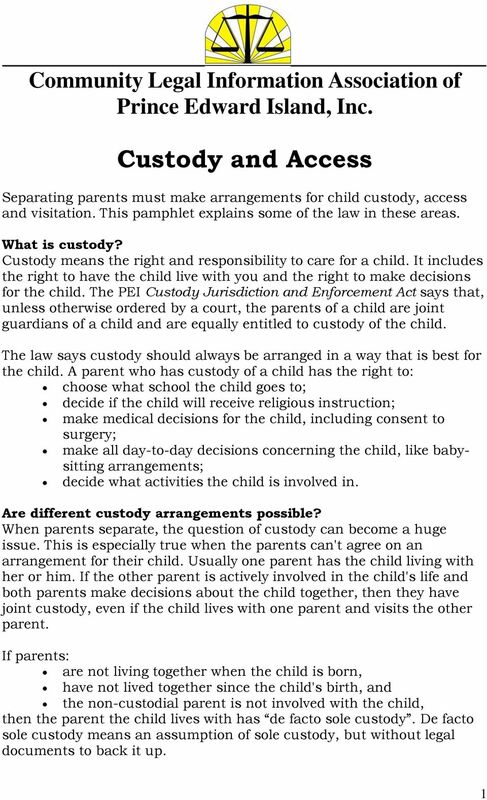 Custody and Access"
This chapter will focus on your right to a lawyer, the different ways to get a lawyer, and what you should expect from your lawyer. 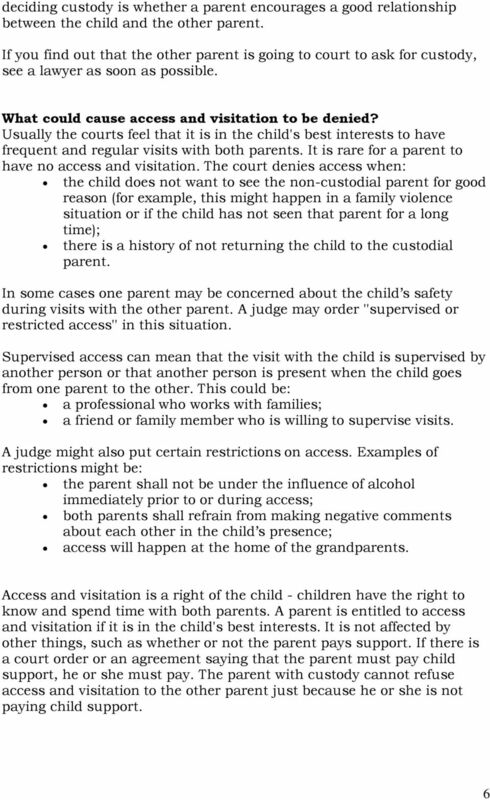 Family Law. What are your rights? 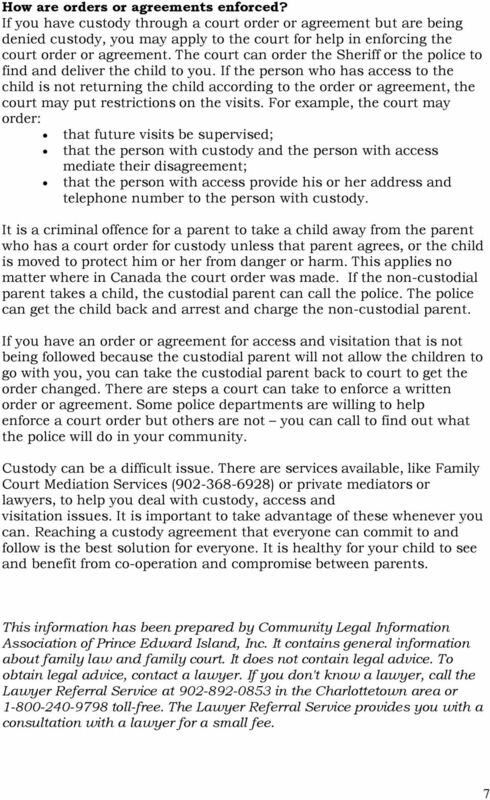 Family Law What are your rights? 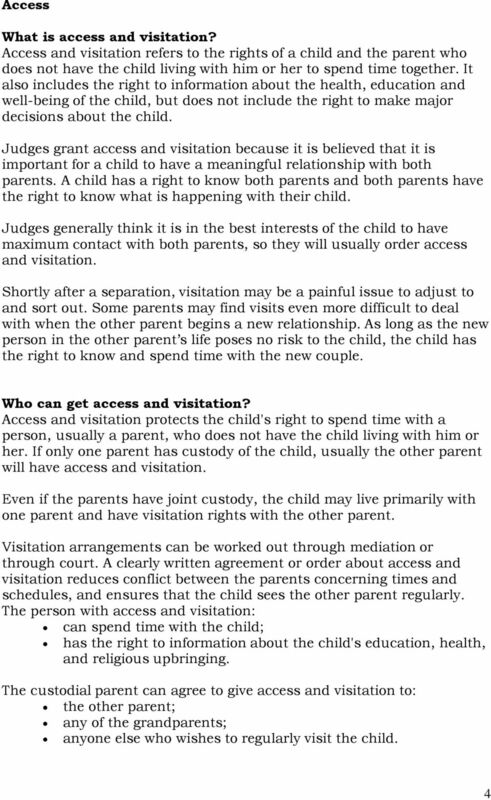 Separation or divorce is a major crisis in anyone's life. You may find that it takes some time to come to terms with the separation and adjust to your new circumstances. 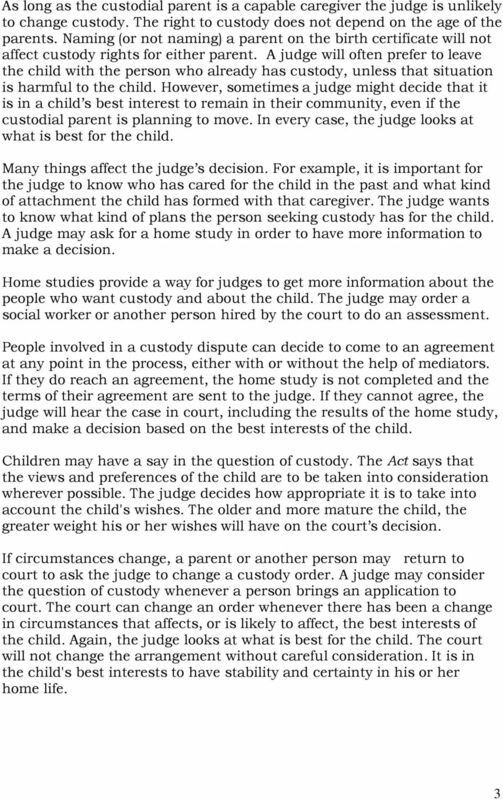 What is the Role of Family and Children s Services? WHERE DO I STAND? 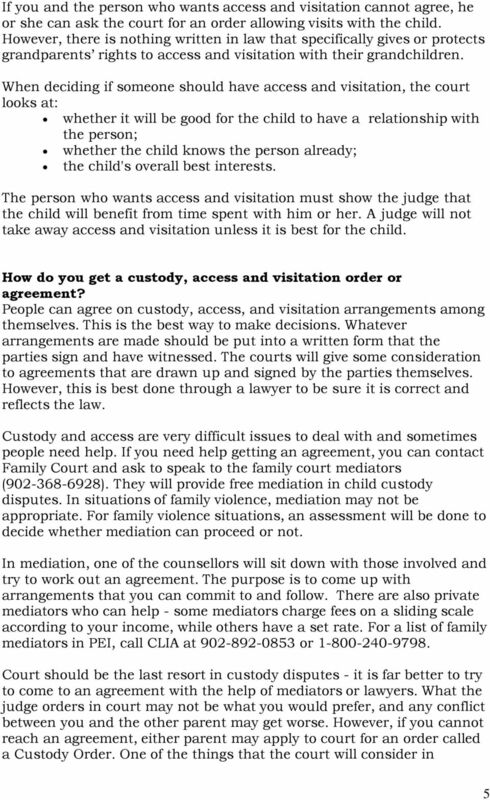 A child s legal guide to separation and divorce. How To Choose Your Lawyer. If You Can t Afford To Pay For Your Lawyer. How To Find A Lawyer H iri N G a L a W yer How to CHOOSE YOUR LAWYER It is important to choose a lawyer who can work well with you. 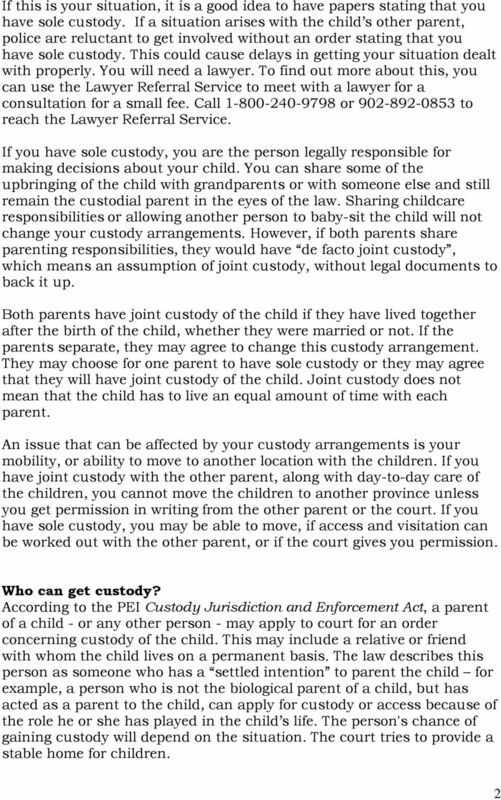 Non-custodial parent This is the parent who does not have primary physical custody of the child.